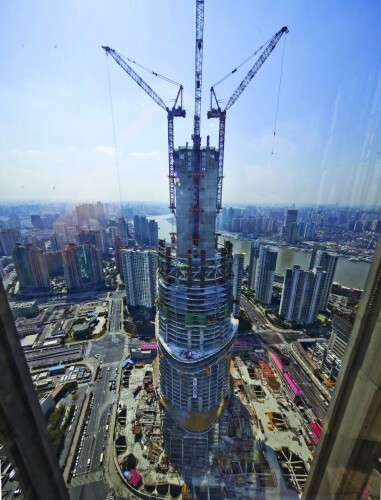 Soon to be the tallest building in China, the 632-meter Shanghai Tower is beginning to take shape. 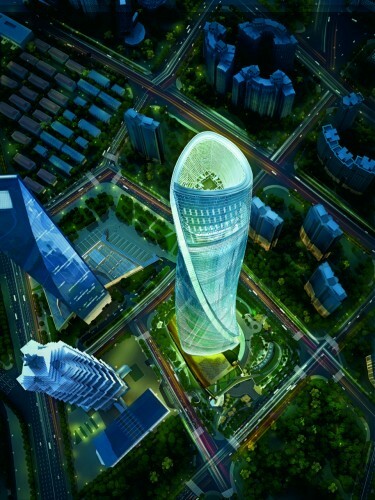 Located in the center of the Pudong district, the tower will become the centerpiece of the city’s international financial district. The transparent, mixed-use building will work as a “self-contained city”, housing 550,000 square-meters of world-class office, hotel, entertainment, retail and cultural venues. 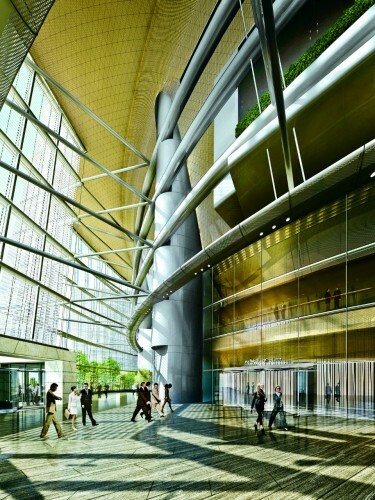 It is designed to achieve both LEED Gold certification and a China Green Building Three Star rating. 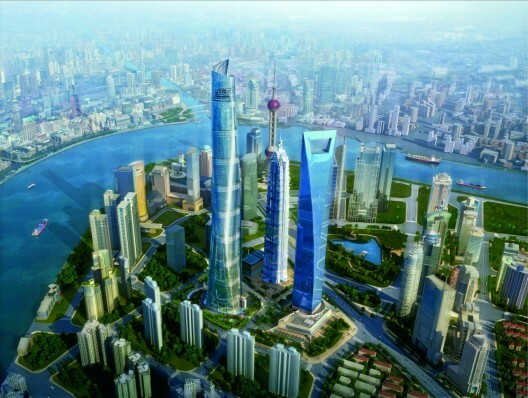 Global powerhouse Gensler won the Shanghai Tower commission in an invited multi-stage competition among many other leading international architects. 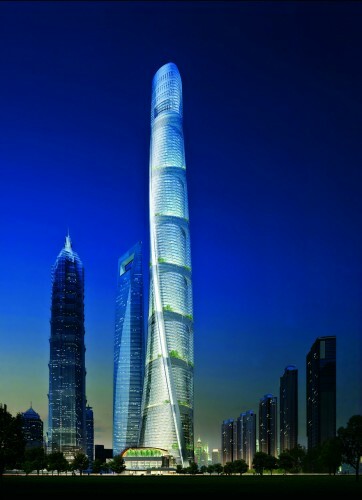 Upon completion, the Shanghai Tower will be the second tallest building in the world, behind the 828-meter Burj Khalifa in Dubai. 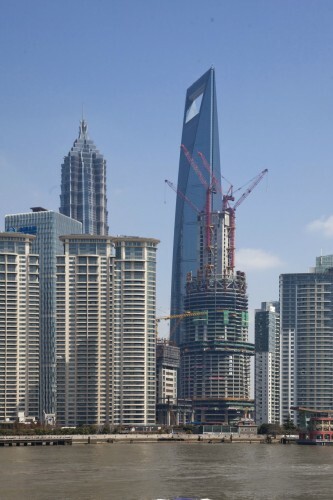 Neighboring the Shanghai World Financial Center, the current tallest building in China at 492-meters, and the 421-meter Jin Mao, the second tallest building in the country, the Shanghai Tower will complete Asia’s first super high-rise precinct. The three towers have been referred to as symbols of Shanghai’s past, present and future. Construction on the tower started in November of 2008. 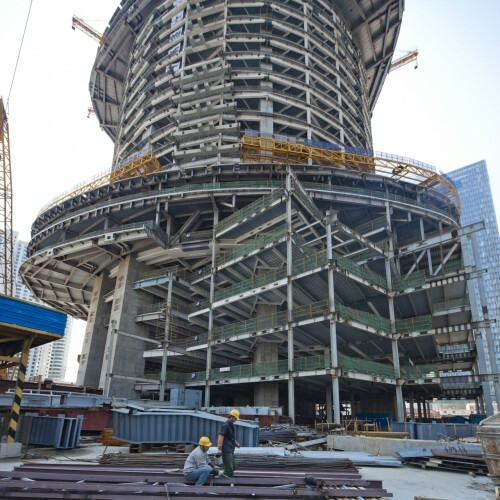 According to Gensler, the building’s core has reached 250-meters, while floor slabs are reading at 200-meters. Completion is scheduled for 2014. The tower is comprised of nine vertical zones, referred to as neighborhoods, each ranging from 12 to 15 stories high. Within each neighborhood, landscape public atriums are found between the two independent curtain walls of the tower. The space in-between these curtain walls not only reduce energy costs by acting as an insulating blanket throughout the structure, but also improves air quality, maximizes daylighting and creates strong visual connections to the surrounding context for all of its inhabitants. Additionally, these “sky gardens” will act as independent social and retail hubs within the building. Wind tunnel testing of the tapered, asymmetrical tower focused on defining the optimal shape of the exterior skin and showed that reducing wind load makes for a lighter, more efficient structure that conserves natural resources. This design reduced wind loads by 24 percent, ultimately savings approximately $58 million in construction costs. 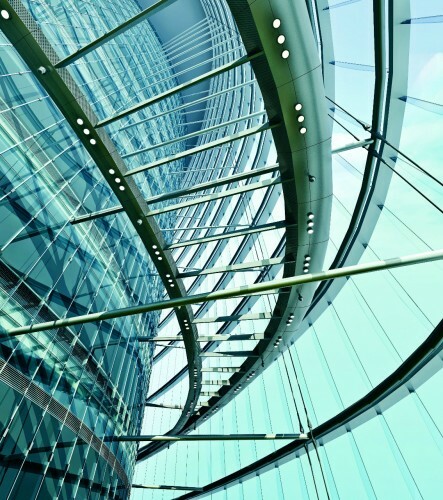 Additional sustainable strategies include the integration of wind turbines, a spiraling parapet that is integral to a rainwater collection system, and the use of geothermal technology to deliver energy to the building’s heating and cooling systems. Locally sourced materials with high-recycled content are being used when available and approximately 33% of the site is dedicated to green space. For more information, check out the Council on Tall Buildings and Urban Habitat (CTBUH) Skyscraper Center here.